Fiserv has published a white paper outlining how financial institutions can build a successful mobile payments strategy that drives consumer engagement and lays the foundation for future growth. “As mobile payments continue to mature and adoption grows, understanding how consumers utilize these payments will enable financial institutions to anticipate future demand and build an intelligent payments strategy,” explains Tom Allanson, president, Electronic Payments, Fiserv. 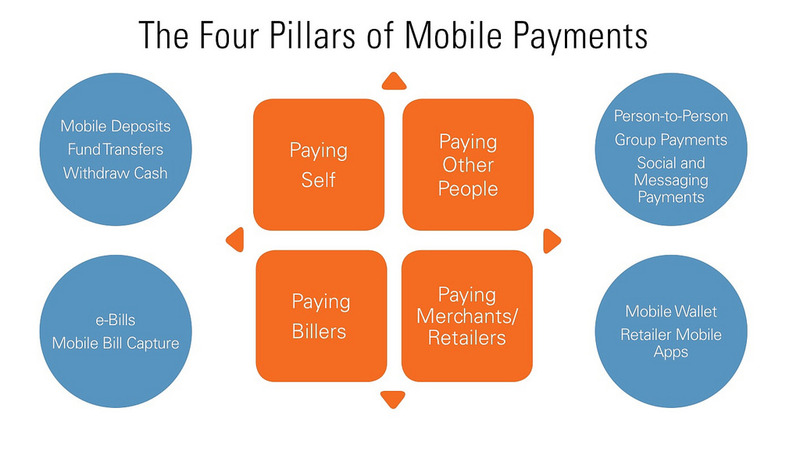 Consumers currently are engaging in four pillars of mobile payment activity. They are paying other people, paying retailers and merchants in person and online, paying bills, and paying themselves by using mobile to transfer money from one account to another, withdraw cash and deposit checks. Invest in the mobile payment options consumers are already using. While it is tempting to race toward the shiniest objects in the cascade of new technologies, the best place to start is with making existing options better, more convenient and easier to use. 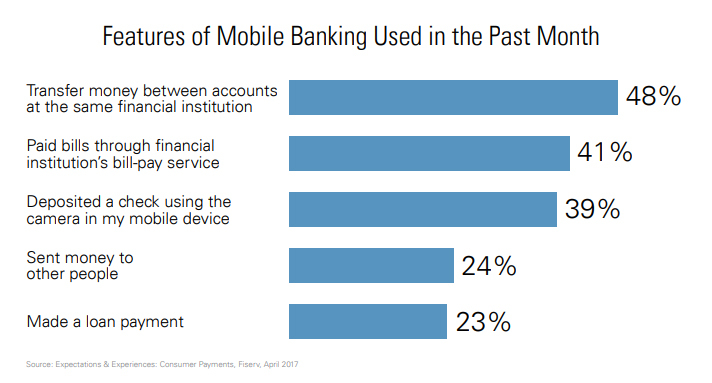 Integrating popular capabilities such as person-to-person (P2P) payments, bill payment, account transfers, and credit and debit card monitoring and management into the mobile banking experience will help drive engagement. Focus on the overall mobile payments experience. Before adding new capabilities, consider how consumers want to use mobile payments. Consumers want a simple, frictionless solution to daily financial tasks. Help them do what they want to do in a given moment and in a given place. Emphasize security and educate consumers about it. When it comes to moving money, security is a natural concern for most consumers. Implementing and communicating about a secure environment will help build trust. Contextualize the benefits and capabilities of the channel. Emphasize how mobile payments and associated capabilities, such as alerts, can make life easier for consumers. Examples are highlighting how mobile alerts can help people remember to pay bills on time or notify them about possible fraudulent transactions.